Compare Plugins Based on Your Needs! 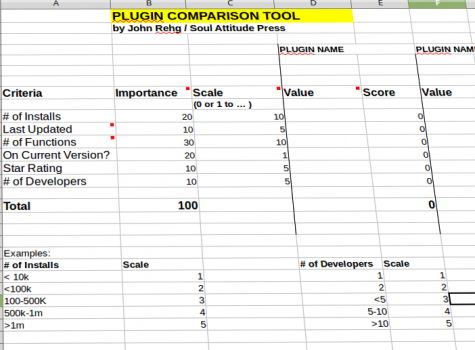 Our FREE spreadsheet gives you the power to compare WordPress plugins based on what’s important to you. Sign up today to evaluate plugins based on YOUR own criteria! Set the rating scales to your satisfaction.